AN AMTRAK TRAIN struck and killed a woman at 11:30am Monday. The woman had stumbled onto the tracks at Doran Street and San Fernando Road, just 1.5 miles north of the Chevy Chase Drive crossing where a Metrolink train derailment killed 11 in January 2005. 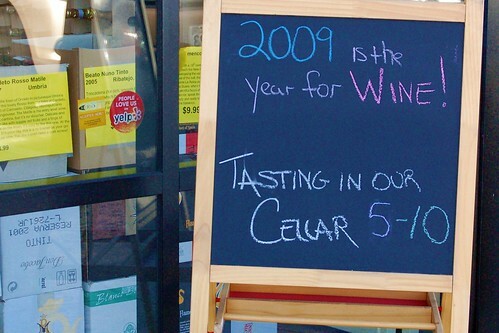 TODAY ONLY: In a one-up of its sweet July deal, get a "Groupon" for $50 worth of wine, beer, cheese or whatever you desire from 55 Degree Wine, 3111 Glendale Blvd., at the low, low price of only $25. The offer is good till midnight tonight only on the Groupon website. Rumor Alert: Free Cookies at Village Bakery & Cafe? 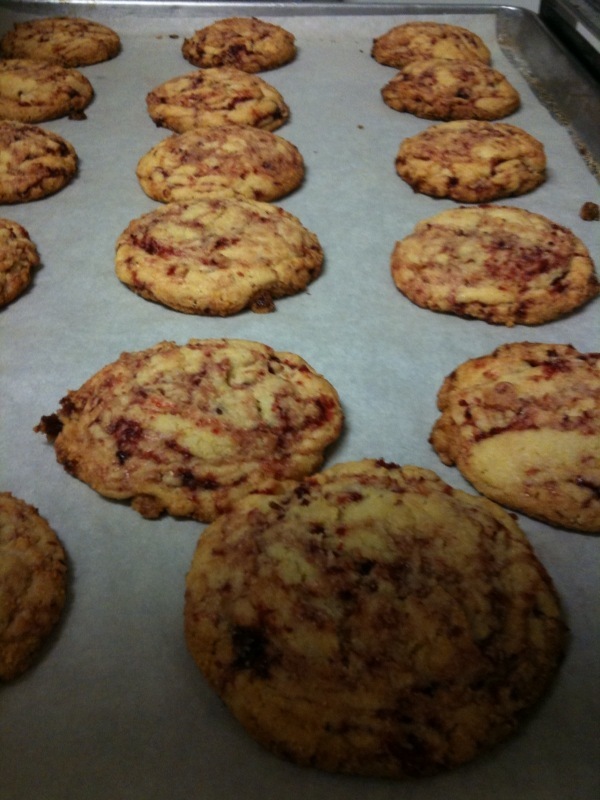 SUNDAY MORNING report from a tipster, although unsubstantiated by anyone or anything else: "My friend Barbara has a new bakery in Atwater and she is giving a free polenta/raspberry cookie to anyone who comes in today [Nov. 22] and says 'chupacabra.' I just tried one of the cookies and they are ridiculously good. I thought I'd let you know, but you are probably out enjoying your Sunday. I've attached a photo I took of the cookies just in case." Village Bakery & Cafe is at 3119 Los Feliz Blvd. Someone try the password and let us know how it goes. 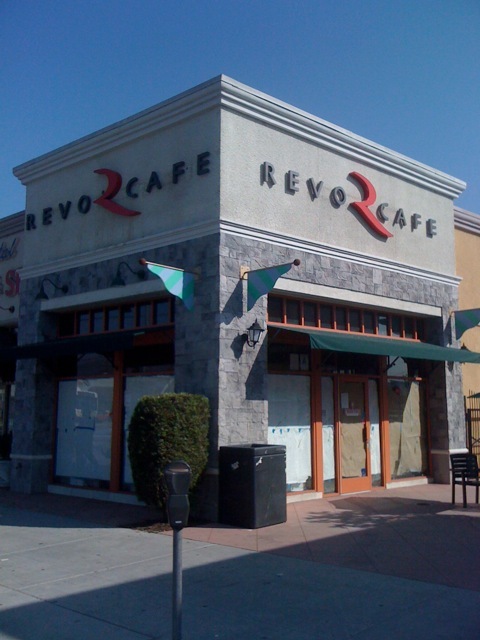 Revo Cafe Opening Soon on Glendale Blvd. 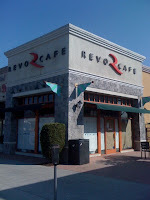 Does anyone know if this new Revo Cafe is the art-themed coffee, juice and organic food cafe we heard about this summer? Does it have anything to do with the Revo Coffee and Cigarette Cafe in Glendale? New location? Entirely different business? UPDATE: It's possible Atwater Village's new Revo Cafe has some connection with a similarly-named establishment (Revo Cafe, a.k.a. De-Revolution) formerly of the Adams Hill neighborhood in Glendale. If so, read why Glendale neighbors weren't thrilled. 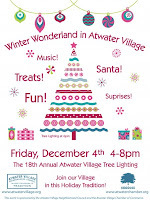 First Course: "Eat Your Veggies"
ATWATER VILLAGE'S tree lighting, in years past one of the biggest and best-attended neighborhood holiday events in Los Angeles, is scheduled for Friday, Dec. 4. The 50-foot, 82-year-old California Redwood in the median of Glendale Boulevard will again be the centerpiece of this year's event. The event is put together by the Atwater Village Neighborhood Council, the Atwater Village Chamber of Commerce and LA City Council President Eric Garcetti (CD13). 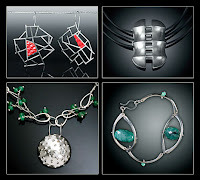 THIS JUST IN: Workshop is a new jewelry gallery opening in the old Amelia Fitzwater space at 3129 1/2 Glendale Blvd. Grand opening event is Nov. 21, 7:00pm, with refreshments and handmade artist jewelry by Serena Kojimoto. Regular store hours will be Tuesday through Friday, 12:00 noon to 7:00pm and Saturday, 11:00am to 6:00pm. GET ONE HOUR of "100% organic acting," in an ensemble of scenes from today's playwrights, from our neighborhood's very own Atwater Playhouse Theater Company -- all for a mere Lincoln. The show is part of today's Silver Lake Art Crawl, which also includes Black Maria Gallery, 3137 Glendale Blvd., in Atwater Village. Rumor Alert: Jewelry Store Coming to Old Gift Shop? IT LOOKS LIKE a jewelry store that goes by the name of Workshop or something like that and is from Santa Monica or someplace like that is moving into the old Amelia Fitzwater space at 3129 1/2 Glendale Blvd. Stay tuned as actual facts are gathered. FROM THE LATEST Northeast LAPD crime update: "Atwater Village: No patterns or trends - a few property crimes (car break-ins, residential burglary, etc.)" Of course to victims and neighbors of victims, it only takes one crime to make a pattern.